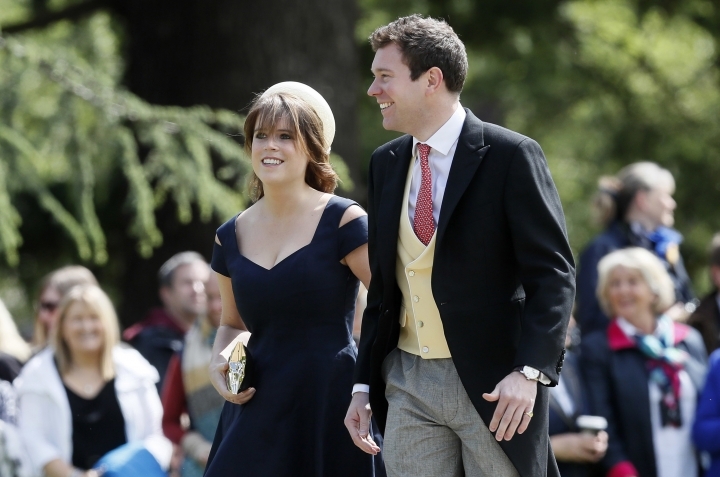 LONDON — Prince George and Princess Charlotte will be among the pageboys and bridesmaids at the wedding of Princess Eugenie and Jack Brooksbank. Five-year-old George and 3-year-old Charlotte, the elder children of Prince William and his wife Kate, will join children including 7-year-old Savannah Phillips, 6-year-old Isla Phillips and 4-year-old Mia Tindall — all great-grandchildren of Queen Elizabeth II — and Theodora Williams, 6-year-old daughter of pop star Robbie Williams and his wife Ayda Williams. Buckingham Palace said Wednesday that Eugenie has asked elder sister Princess Beatrice to be her maid of honor. The best man will be Thomas Brooksbank, the groom's brother. The 28-year-old princess, who is ninth in line to the throne, is due to marry liquor company executive Brooksbank Friday in St. George's Chapel at Windsor Castle.